How do I move a student into a different group? 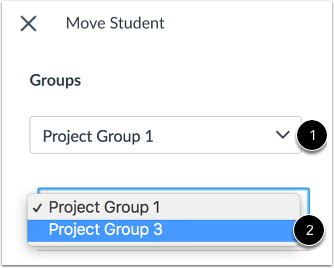 You can move students within groups. However, changes should be made before assigning a group to an assignment. If a student is added to or removed from a group after receiving submissions, the submissions and grades may not align correctly. If a student is added to a group after the group submission, any re-submissions will overwrite the original submission; all previous grades will remain but the Gradebook will show the assignment was resubmitted since last graded. If you want to move a group member with a graded submission, you may want to clone the group set instead. Note: In group assignments, all students should be assigned to groups before the assignment is published. Grades and submissions may be affected for students who were not in a group at the time of assignment submission but who were later added to a group. Click the name of the group set. Expand the group where you want to move the student . 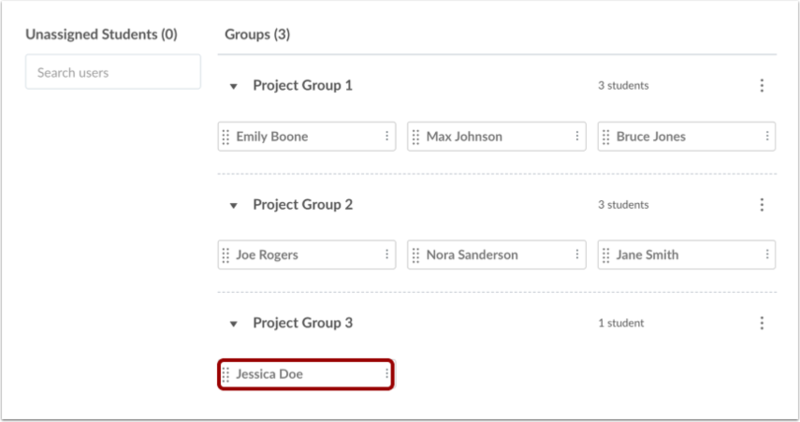 Click the student's name and drag it to another group . You can also click the student name Options menu  and select the Move To... link . 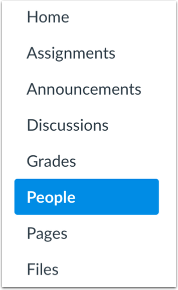 In the Move Student sidebar, click the Place drop-down menu . 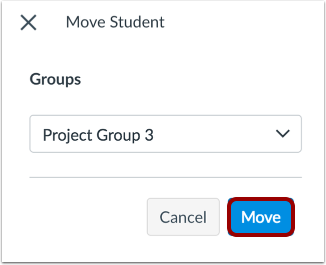 Select the group where you want to move the student . Verify the student has been moved to a different group. Previous Topic:How do I prevent students from switching groups in self sign-up groups? Next Topic:How do I view content and student activity within a group as an instructor? Table of Contents > Groups > How do I move a student into a different group? Re: Will moving a student to another team affect previous group-graded assignments? Re: How do I remove a student?